Catch words like sustainable, durable and resilient dot the landscape of the construction industry. To fulfill those highly desirable attributes, concrete, in all its forms - has become THE go to material. As practical, versatile and cost effective as concrete is, it suffers from one not so appealing characteristic. Concrete requires the use of cement and cement production is a huge producer of carbon dioxide. As of 2017, it is reported that 5% of global emissions annually are the result of cement production. That is two times greater than the aviation industry. Although the ingredients in cement themselves are green, the process required to create cement emits greenhouse gases. Because there is likely no other building material that will ever take the place of concrete as a sustainable option, the push is on to explore technologies that will enable the capture and repurposing of carbon dioxide emissions during the production process. 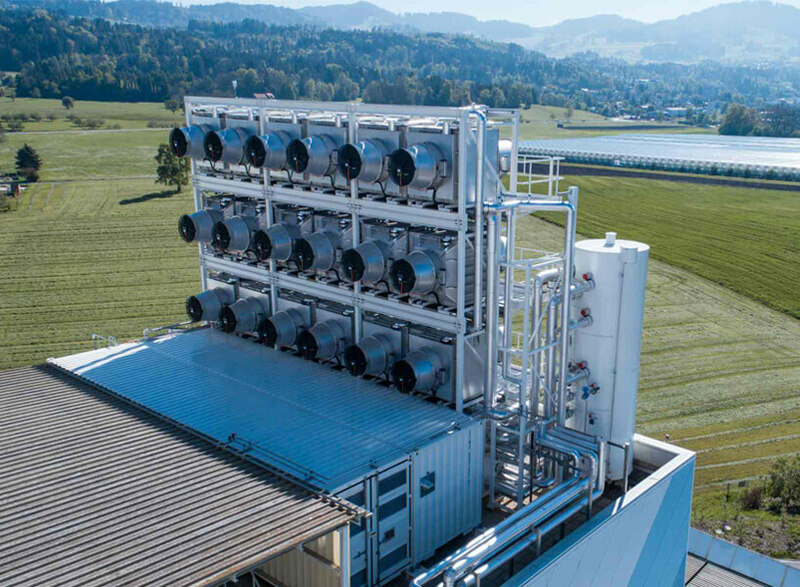 One such technology that has yet to win mainstream accolades is known as Direct-Air Capture (DAR). It is essentially a machine that acts like trees. Ambient air is passed over solid/liquid substances that act as magnets or sponges to attract CO2 particles. After the substances become fully saturated, energy is used to release the particles in a purified form. Other such technologies involve capturing the CO2 from smokestacks and joining it to lime to form cement-like products or creating a new cement recipe by replacing the limestone with a material called wollastonite - a low carbon alternative to limestone. Regardless of whether these or some yet to be discovered technology provides the CO2 emission solution, the cement industry both recognizes and respects the need for an improved process of cement production. As building gains steam in all corners of the world, so to does the push for environmentally sound practices with long range vision.